A list of Pahrump casinos, eateries and bars are readying for the “Big Game” on Sunday with discounted drinks, food and other offerings during the main event. 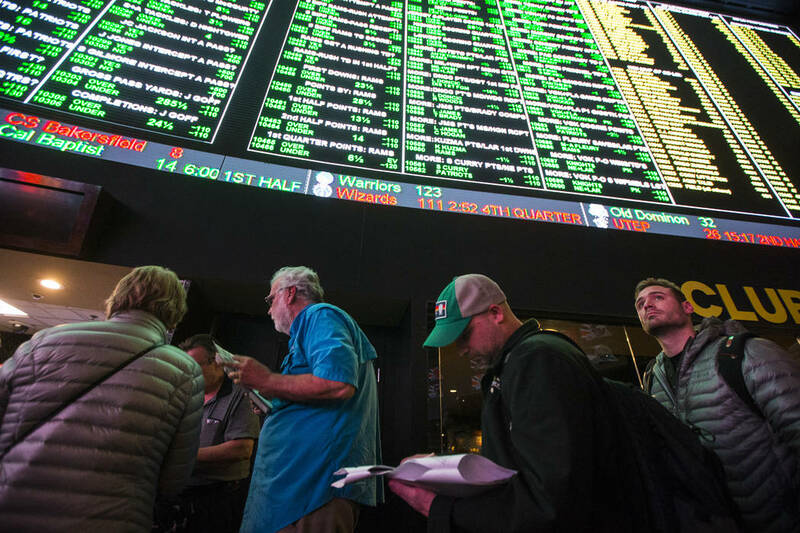 Chase Stevens/Las Vegas Review-Journal Super Bowl wagering is expected to be 1.3 percent higher than it was in 2018. The projected total for this year could reach $160.7 million over 2018's $158.6 million, according to a news release from the Retail Association of Nevada. 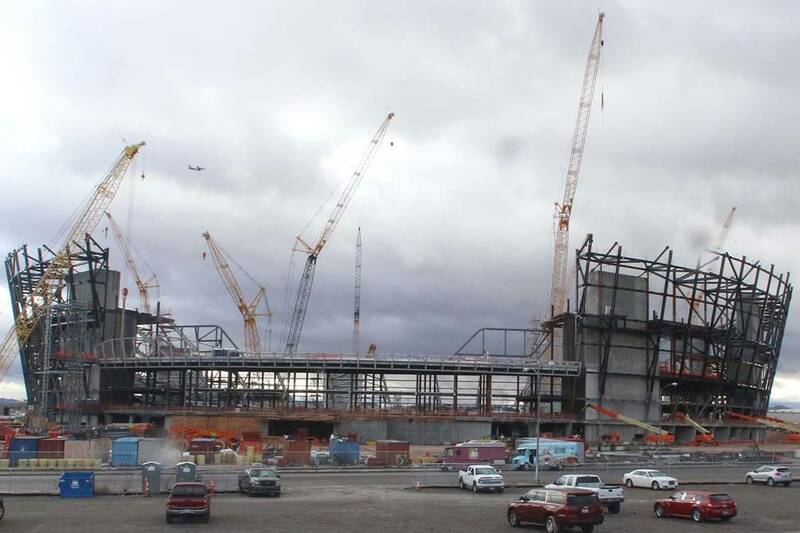 Bizuayehu Tesfaye/Las Vegas Review-Journal The construction site for the future Raiders stadium on Thursday, Jan. 17, 2019, in Las Vegas. Special to the Pahrump Valley Times The Pahrump Nugget sports book will have drink and food specials on Sunday. Super Bowl LIII has a kickoff time of 3:30 p.m. PST, and guests can watch at the sports book's 165-inch high definition projector screen or one of several high-definition TVs. 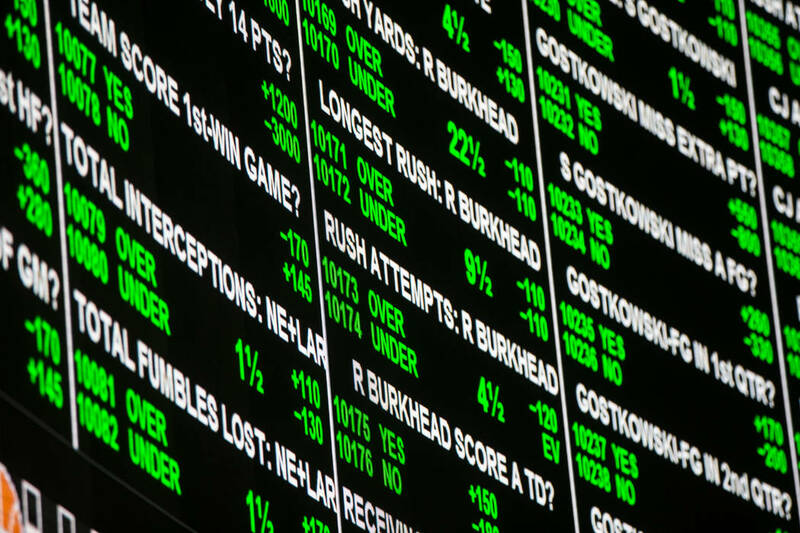 Chase Stevens/Las Vegas Review-Journal The Retail Association of Nevada, citing the National Retail Federation's survey, stated in a news release that the amount of wagering during Super Bowl LIII was projected to be higher than 2018. The association stated gross wagering to top $160.7 million over 2018's $158.6 million. Chase Stevens/Las Vegas Review-Journal The Retail Association of Nevada, citing a survey from the National Retail Federation, stated in a news release that 182.5 million Americans will tune in for Super Bowl LIII. Kickoff is set for 3:30 p.m. PST. 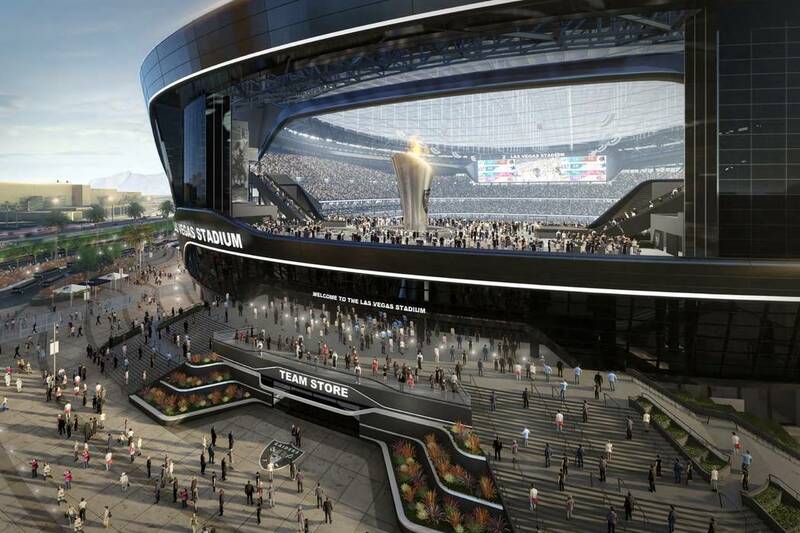 Las Vegas Stadium Authority Renderings of the new Raiders stadium being constructed in Las Vegas. The venue is pegged to be ready for the 2020 National Football League season, bringing a pro-football team to Southern Nevada. 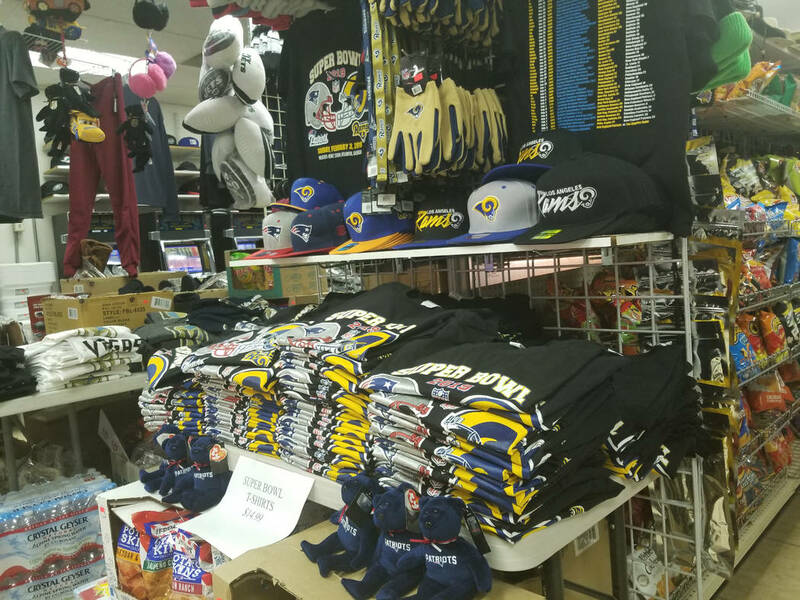 David Jacobs/Pahrump Valley Times Estimates by the Retail Association of Nevada, citing a survey by the National Retail Federation, state Nevadans could spend $140 million on this year's Super Bowl. This includes spending on things such as food, TVs, decorations and apparel and other items. 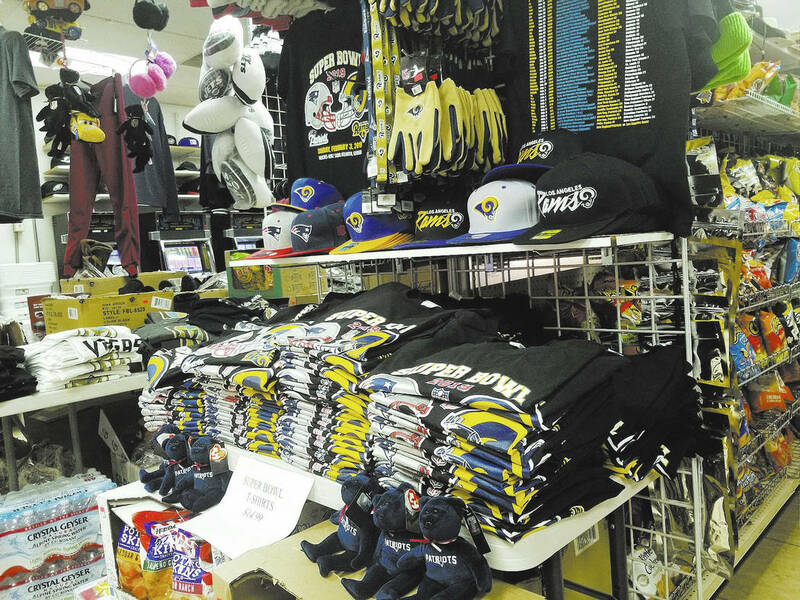 David Jacobs/Pahrump Valley Times According to data from the National Retail Federation, the West ranks second in average Super Bowl spending per person ($84.01 per person average) compared to several other parts of the country. The top spenders in the U.S. for Super Bowl are those in the Northeast ($94.89 average per person); No. 3 is the South ($79.09), followed by the Midwest with a $69.24 per person average. 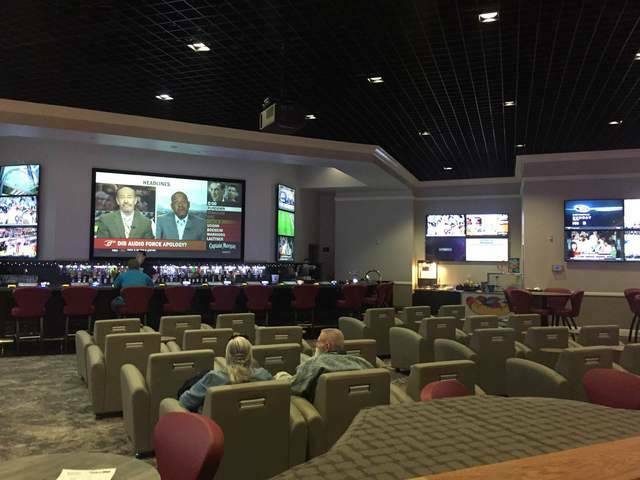 Locals and visitors can drop in at the Pahrump Nugget sportsbook to watch the New England Patriots and Los Angeles Rams battle it out during Super Bowl LIII. The game kicks off at 3:30 p.m. Guests will enjoy $2 draft beers and $2 slices of pizza while they check out the game on a 165-inch, high-definition projection screen or one of several high-definition plasma TVs. Prizes will be available throughout the game with each beverage purchased garnering an entry; a purchase of a draft domestic or craft beer gets two entries. Sullivan’s Pub at 2450 W. Mesquite Ave. will also have the Super Bowl party and will host a pot luck and have the game on. Mark’s Grill, inside Nevada Treasure RV Resort, will be hosting a Super Bowl party for the big game. The resort is located at 301 W. Leslie St. in Pahrump. Tickets are $15 per person and available at the front desk of the resort; management prefers tickets be purchased in advance of event. For more information, call the resort at 775-751-1174. According to a post on social media, the party will be in the convention center, where there will be drawings, food and a cash bar, and, of course, a place to watch the game. For viewers looking to stay at home and watch the game, the Super Bowl will broadcast on the local CBS station. Viewers can also see the game streamed live at CBSSports.com or from the CBS Sports app on game day. Other options are available for watching the big game in Pahrump. Vince Neil’s Tatuado Wild Side Tavern at 2101 will be hosting a party on game day. Attendees can expect nine high-definition TVs with surround sound, $2 bottles of domestic beers and $2 draft beers, along with specials on buckets of beer, according to the tavern’s Facebook page. Food and Super Bowl giveaways will also be a part of the party that starts at 3 p.m. on Sunday. The Super Bowl could bring a lot of action for retailers as well in Nevada. The Retail Association of Nevada estimated that 1.7 million Nevadans will tune in to watch the “big game” on Sunday. But to prepare, the association estimates that Nevadans will spend nearly $140 million on food, TVs, decorations and apparel and other items, the retail association noted in a news release. The Retail Association of Nevada cited a survey by the National Retail Federation for the estimate. The National Retail Federation’s survey contained estimates showing that 182.5 million Americans plan to tune into the big game on Sunday. Overall, viewers plan to spend an average of $81.30 on items that will enhance their experience watching the game. That’s up 0.2 percent from 2018’s $81.17 average. Viewers in the West are expected to have the second highest average spending for the Super Bowl at $84.01 per person. The West is followed by the South ($79.09) and the Midwest ($69.24). Consumers in the Northeast are the biggest spenders with an average spend of $94.89 per person. 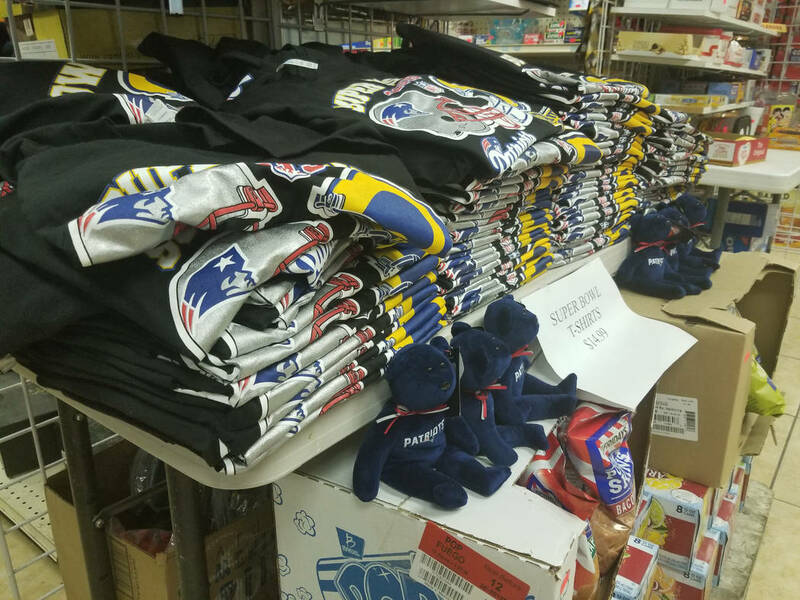 For fans looking to pick up some team gear, the Winery Super Mart at 2301 Winery Road had a selection of clothing and other items. 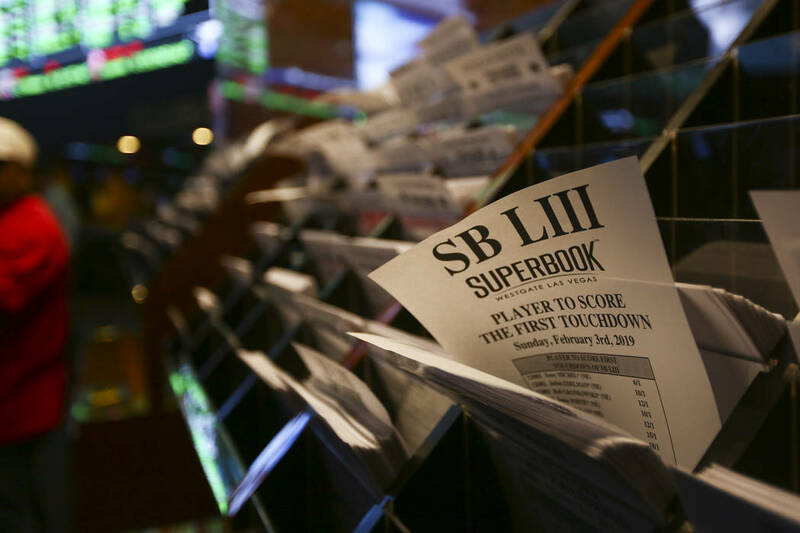 Wagering on the Super Bowl is also expected to be higher this year. This may not be an exhaustive list of events and parties. Check individual businesses for Super Bowl activities and businesses.